You see a stock zooming upwards and reaching new highs every day. You see your friends buying and calculating their notional profit every day. There is “positive” news on the stock always. You too go ahead and buy it and as everything that goes up must come down, the stock value plunges and you lose your hard earned money. Is this not a familiar story? 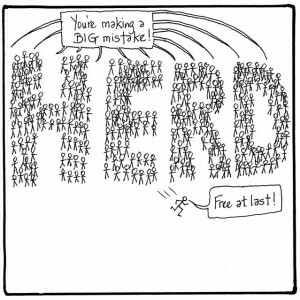 What you did is, followed the herd and invested at a higher price without having the right reasons for investing. 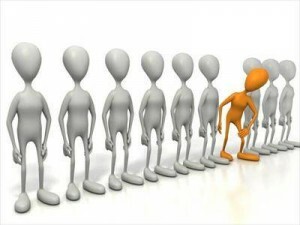 Herd Mentality is defined as individuals doing the same thing as others in the group so that they conform to the norm and their desires for acceptance and belonging to same group are met. They also feel they will be safe if they do the same thing as the group. Sometimes individuals subconsciously follow the group. They may think that their decisions are based on their own judgement and independent thinking. 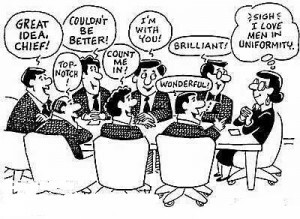 But that may not be always the case and they are just following the herd and accepting the group decision without thinking through it or because they are less experienced in taking such decisions. Is it only limited to equities? 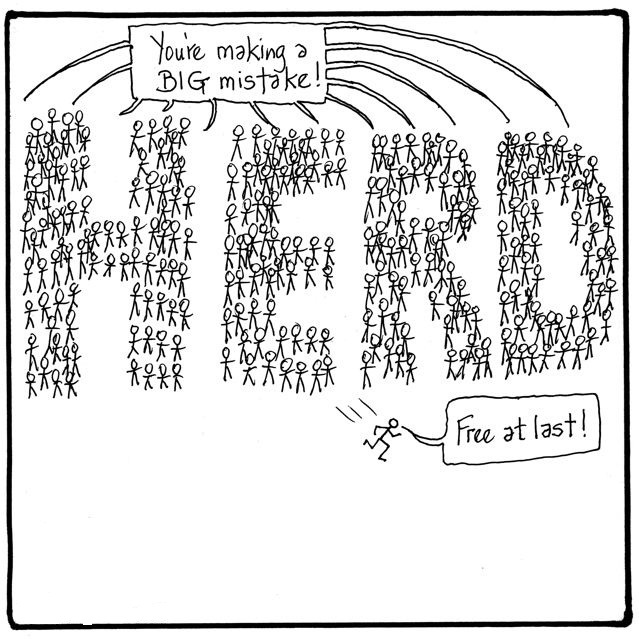 Herd Mentality might be good in some cases. Think of nomads – staying together in a big herd in the jungles to stay protected from predators. You will be surprised but science has proved that our behaviour issues are because of how our civilisation has developed over 1000s of years. But if you don’t do your research and follow the equity market just because everyone is doing the same is a risky proposition. 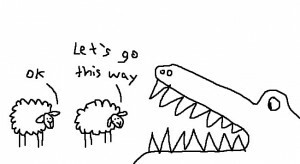 Retail investors have faced the brunt of herd mentality many times. For example, in late 1990s and early 2000s, a lot of people started investing in “dot com” companies without really understanding the business model. People invested when they saw others investing and wanted to jump on the bandwagon. But the bubble burst, many people lost a lot of money when the businesses could not sustain themselves. There have been many cases like this across the world. And one of the major reason for every bubble is Herd Mentality. 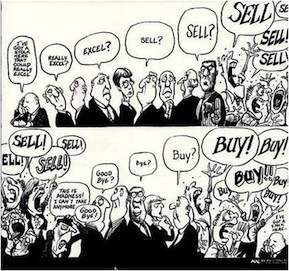 If you are following the herd in investing, it means that you are probably already late and you are buying it when it is expensive. Many times experts and analysts and well-meaning friends say, “Gold is a good investment” or “’XYZ’ stock is a good buy” or “Real estate prices will rise”. Each time, if you react by selling what you have invested in and buying a new asset, your transaction costs & tax increase and you might sell off assets which may outperform. This means you do not get optimum returns. It also happens the other way around. For example, markets are in a downward trend after the China incident. This does not mean, we should sell off all our stocks because many stocks are at much lower levels. Mutual Funds or quality stocks that you have purchased at the right price after thorough research should not be sold off even when prices are falling. Once markets consolidate, they may perform better. Assets should be bought and sold as per a planned investment strategy and not based on emotions. Herd mentality also comes into play because as humans, we fear missing out on the opportunity, fear of being ignorant and greed. We always want the best and the most with least effort and as quickly as possible. 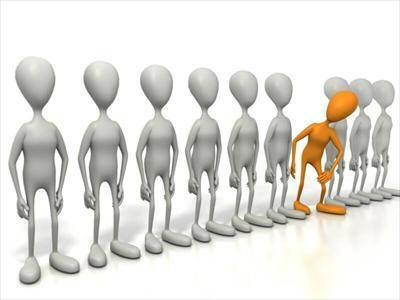 But herd mentality mostly does not help us to achieve our financial goals. You should do your research on the various investment options available. You should have an asset allocation model in place based on your risk profile. You should focus on your financial goals, long-term investment strategy and personal finance status and take investment decisions accordingly. You should be ready to face some ups and downs in the market. It is impossible to time the market correctly and buy at the lowest prices and sell at the highest prices. You should not get emotionally attached to the profits and losses made. You should take the help of a financial planner if you are not confident of making investment decisions. But you should be involved in financial planning and track and review actions taken by the financial planner. You might still face losses or miss some opportunities but you should focus on your long term financial plan. But no one can get the best of the market each and every time. You should make investment decisions to achieve the short-term and long-term financial goals that you have set. If you see yourself being tempted by what is happening in the market and wanting to buy/sell, you should keep your emotions in check. You should force yourself to take a few days to review your buy/sell decision. Once you are more rational, you should consider how this step aligns with your long-term financial plan and then take a decision. 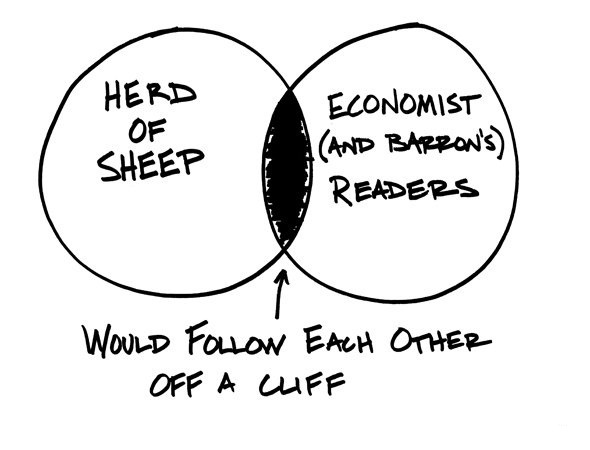 You should remember that aiming for financial stability and growth is more important than following the herd. 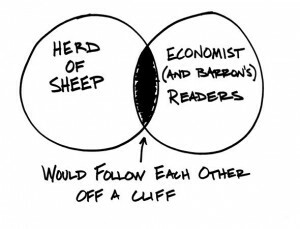 Do you think, you have made investment decisions following the herd? What was the impact of that decision on your investment portfolio and strategy?